David Flick, Principal and Founder, announces that the firm successfully completed Section 404/401 Clean Water Act permitting for the Woodland Hills Residential Development in Olathe Kansas. The project will help meet the demand for single family homes in western Olathe. Scientists with Terra Technologies completed a jurisdictional assessment of potential waters of the United States within the limits of the proposed development project. 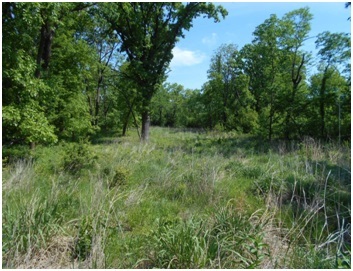 Four wetlands totaling 0.86 acres were delineated on the parcel. There were no streams of ponds. The applicant received a Nationwide Permit 29 verification letter authorizing unavoidable impacts to jurisdictional surface waters. Numerous off-line storm water best management practices will treat post development runoff in compliance with municipal requirements. As impacts are below 0.10 acres of permanent loss, the applicant is not required to provide compensatory mitigation.